Another 90 nautical miles before arrival, a very fast voyage. The winds have gone down a bit and we are sailing above the islands giving us a broader angle from the wind and thus a more comfortable tilt. We have fresh bread in the oven and the fishing lines out behind the boat. 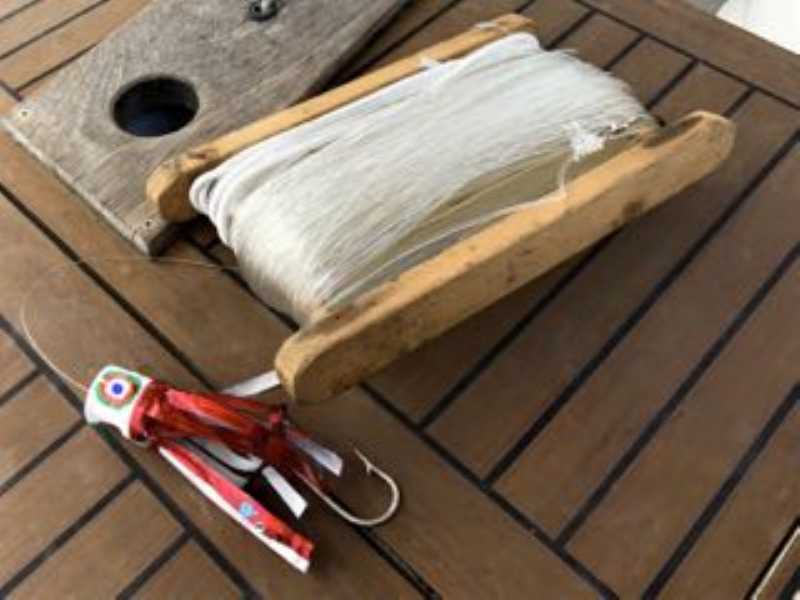 The lures are a combination of a squid that washed on board and a squid that Macsen and Emma made from an old toothpaste tube. We are quite confident that this combination will succeed. I am hoping for a tuna.